Facts are important and never more so for the business community as debate heats up towards a Federal election. 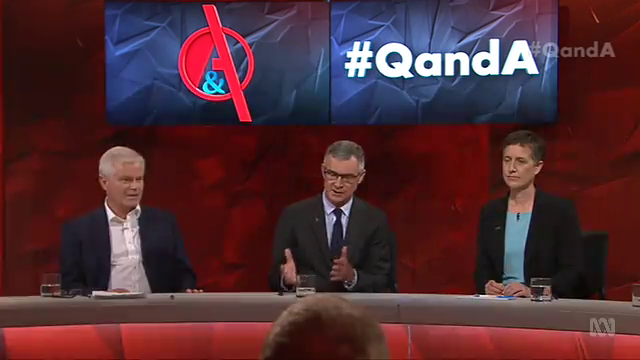 That’s why I welcomed a challenge to my commentary on ABC TV’s Q&A program on 6 Feb 2018. The ‘Conversation’ fact check team tested my claim that “Almost 60% of small business owners in this country are paid $50,000 or less”. After a week of emails and phone calls the final verdict was that we were ‘in the ballpark’. The fact checkers had more to say, but even the verdict from their blind reviewer found “a reasonable level of support from the available data” for my statement. That’s as it should be. As the representative of more than 300,000 business teams across Australia we must get our facts straight. But the same standard should be set and met by everyone in the debate. On the same Q&A the ACTU appears to have been misinformed on at least three key assertions, all of which went unchecked. Less than one in 10 private sector workers choose to join a union. Yet union bosses have enormous influence including over the alternative government, the Labor Party. If their militancy is left unchecked and their ideology unchallenged, it will do enormous damage – particularly to smaller businesses that lack the resources to fight back against union pressures and the financial resources and business options necessary to survive poor economic and industrial relations policies. 1. Energy prices. “It’s a big problem … If you compare the energy costs in Queensland compared to Victoria, what’s the difference? One has been moderate and one hasn’t. The difference is privatisation. Electricity prices from Queensland’s publicly owned provider increased 80% over the past 10 years. In privately owned Victoria they rose by a far more modest 14.8%. The reverse of the ACTU argument. The reality is that price increases have varied dramatically irrespective of the ownership of the assets. In states with largely private electricity generators prices rose 31.3% in NSW and 14.8% in Vic but shot up by 108% in SA. In Tas and QLD, where electricity generation is publicly owned, prices went up by 50% and 80% respectively. The Commonwealth Department of Industry tells us the rapid increase in electricity costs is mostly caused by ageing ‘poles and wires’ infrastructure. Read more. Compared with a total workforce of about 12.5 million there are about 1.2 million temporary visa holders with work rights in Australia. But just because visa holders have work rights does not mean they are all workers. 650,000 are New Zealanders, mostly tourists, with more than 110,000 Kiwi short-term arrivals every month. And of the New Zealanders who are working, visa numbers include partners and children who often are not. Of around 160,000 working holidaymakers about 15% don’t work. For the rest, most are on short-term contracts. They are not around long enough to be pursuing wage increases in subsequent contracts. Many of our 360,000 international students also don’t have jobs, and those who do are restricted to 20 hours a week. Recent figures show only one in 3 reported having a job. Also, many of the approximately 70,000 secondary visa holders connected to skilled temporary migrants, including children, don’t work. An alternate measure of temporary visitors specifically here to work includes short-term visitors who say they have come for employment (269,800, in the year to November 2017) and temporary skilled visa holders (around 80-90,000). And even then, a large number of these, many of whom will be professionals and managers, will have no trouble negotiating their own pay deals. Although it is difficult to be precise, the claim that 10% of Australia’s workforce finds it hard to ask for a raise because they are from overseas is plainly false. 3. “So we’ve got this situation where 40% of the workforce is in insecure work, so that, it drags down wages. Because, if you’re in a casual job or an insecure job, it’s really hard to ask for a pay rise. “[i]ndependent contracting, labour hire and casual workers comprise just under 40 per cent of the workforce” and that “[t]his figure has decreased slightly over the last five years”. However, if the ACTU is relying on this figure to claim 40% of workers are ‘insecure’ this can quickly be revealed as nonsense. Tradies and subbies don’t find it ‘really hard’ to ask for a pay increase. Commercial and residential builders do not consider themselves as being powerless to negotiate because of an ‘insecure’ status. Casual work suits many young people, students, parents and others in our community – we cannot assume that this work is automatically insecure or suboptimal or that this drags down wages. Many young people want to work casually precisely to maximise their immediate take home pay. Car salespeople and real estate agents working on commission are not in insecure employment with many negotiating excellent remuneration packages. This union claim also self-references on a myth of their making – the persistently repeated claim of the ‘casualization’ of the work force. Yet again, we know this is not true. The reality is that levels of casual employment have remained stable for almost two decades. There is zero evidence of a trend towards casual employment at the expense of full or part time work. Fact checking following a previous episode of Q&A confirmed that “the level of casual employment has not increased in Australia for the past 18 years” proved correct. At the Australian Chamber, we will stick with the facts.